No place or business is completely safe from fires. A fire can break out at any location due to any reason. Fires are cause significant damage to life and property at any place. Every organization needs to take measure to prevent the fires for the safety of their assets and employees. Organizations should take every measure to prevent the fires and train their employees to deal with the fire like emergencies. Moreover, they should create a fire evacuation plan for the safety of their employees. A fire evacuation plan helps the people to come out of the building and gather at a safe place. Every organization should have a fire evacuation plan to make the employees escape the building safely. This post shares some tips to create a fire escape plan for your business. A fire can break out at a workplace due to any reason. Businesses need to consider all the factors that can cause a fire. Electrical failures and short circuits are the most common causes of fires at homes and workplaces. Other reasons include improper disposal for waste, inappropriate storage of flammable materials, and lack of fire safety equipment. You need to create a fire escape plan for your employees. Call a professional fire trainer or team to create an evacuation plan for you. The professional team would examine your workplace and all the entry and exit routes to make a plan for your company. Moreover, consulting a fire safety trainer can help you with some prevention tips to make your workplace safe from fires. Every workplace should select some employees to create a quick response team that should be the first to respond in case of fires and emergencies. This team should also be responsible for helping other employees escape safety from the building and gather at a commonplace on the premises. The members of QRT should also communicate with the authorities and the external fire safety team in such situations. While creating a fire escape plan, the roles and responsibilities should be assigned to the employees who can take responsibility to help others. These employees should be other than the members of the quick response team. They should coordinate with the QRT to carry on the fire fighting activities and help others to escape the building. 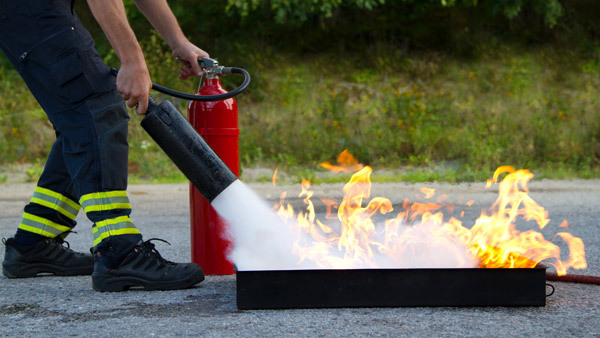 Fire safety training is essential for the safety of employees and assets of a company. Consult a professional fire safety training to visit your company and train the employees. The trainers will educate the staff about fire safety and teach them to use fire safety equipment. Employees can learn how to use the escape routes and what actions to take in case of fires. Moreover, your employees can learn the daily tips to prevent fires like proper disposal of waste and using the electrical panels and appliances in the right ways. 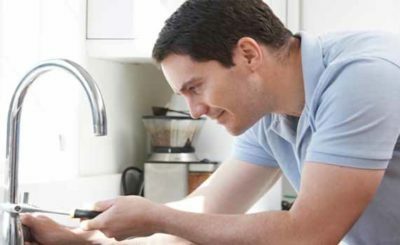 Many fire safety devices alert you about the fire and smoke at the place where you install them. The tools like fire alarms and smoke alarms detect the presence of smoke and give a loud beep to inform you about a fire. 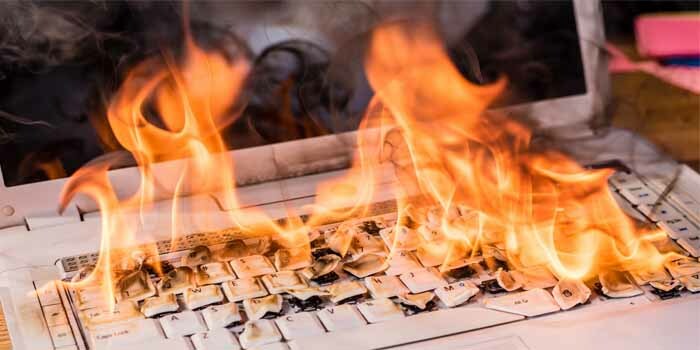 These devices help you to take action at the right time before the fire spreads to a large area in the office. 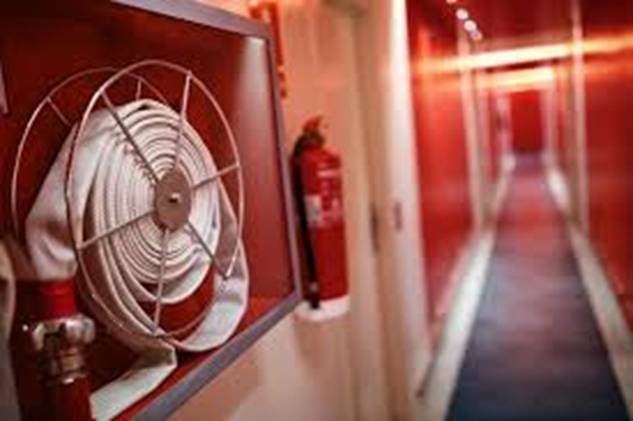 Therefore, every workplace should have the fire alarms installed in their premises. There are also many other fire detection systems that you can install in your office, but the most common are the fire alarms. Most reputed companies and organizations have fire extinguishers and water sprinklers installed in various areas. Moreover, some have fire doors and escape ladders for additional safety and ease of evacuation. However, many startups and small companies don’t have firefighting tools like fire extinguishers and sprinklers. If you have not installed these tools, you must install the fire extinguishers in your company. It is necessary to rehearse the fire evacuation plan every six months so that all the employees may know what to do and how to escape in case of a fire. It is best to conduct the fire drills in which the employees can learn using the firefighting equipment and following the fire evacuation plan. The trainers can guide the employees on how to coordinate with each other and the quick response team. A fire escape plan is necessary for the safety of every organization. Organizations should create a safe escape plan like the fire evacuation plan Victoria for the protection of their assets and employees. Following the above tips can help companies to develop a fire safety plan and follow the same for the protection of life and property.